Just noticed this at Kontra-Musik site. 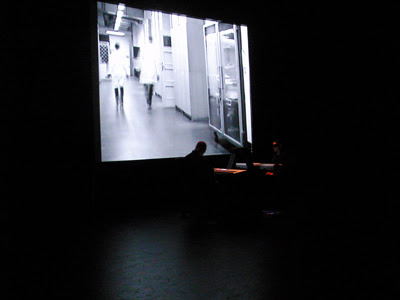 They are handling all the live bookings for Dopplereffekt. They are promising the full line up so if you missed the last and legendary full line-up show at La Geode in Paris in 2006 then this might be worth going to. Although their show in Basel, Switzerland last year was also a full line-up. If you can get to Sweden in the next 5 days that is! Presale info etc at following link. Above snap from show was just sent to me, if any video or other shots appears let me know the links and they will be included here.